Classic clog styling make these professional, oiled leather clogs the perfect complement to jeans or slacks. Rocker bottoms create a subtle, rocking motion that actually propels you forward as you walk, taking pressure off each step and reducing strain on your lower back and legs. Polyurethane construction is reinforced with a hard plastic frame for stability and durability. Anatomically shaped footbeds are engineered for arch support, while the roomy toe boxes allow normal blood circulation. 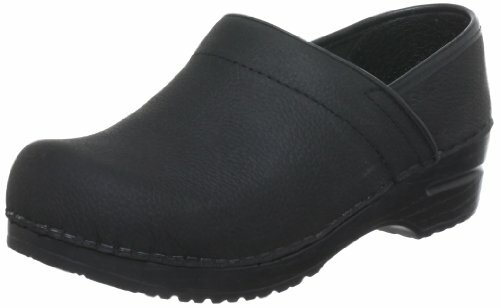 Classic oiled leather clogs Rocker bottoms reduce strain on lower back and legs Reinforced frames enhance stability and durability Shaped footbeds support arches. If you have any questions about this product by Sanita, contact us by completing and submitting the form below. If you are looking for a specif part number, please include it with your message.